There have been tuned Mercedes C63 before by Italian tuner Romeo Ferraris, but this one is rather special. 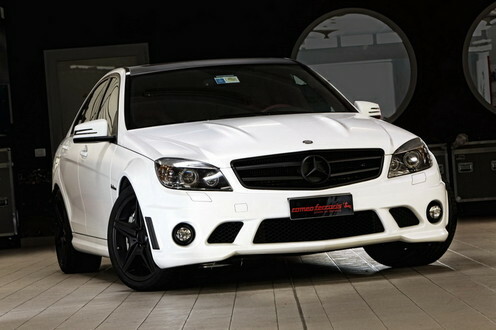 Called the Whitestorm, this C63 features a modified V8 engine that churns out not 470 hp, but a full 530 hp. That makes the car act like a bit of a handful, but it also makes it huge fun. Besides the massive engine, the car also benefits form a cooler presence thanks to the blacked-out items like the grilles, or the wheels, and a fancy interior with with red leather and carbon fiber. despite the extra power Remeo doesn’t seem to have done anything to improve the brakes and the suspension.